Bill Gates listed "amazing moments of hope and progress"
Bill Gates, no less, has listed six positive things that happened in 2017 (which has been 'a tough year') and the second of these six is.. wait, for it - Akshay Kumar's film Toilet: Ek Prem Katha. "Toilet: A Love Story, a Bollywood romance about a newlywed couple, educated audiences about India's sanitation challenge," tweeted the Microsoft co-founder. What a shout-out. The five other things on his list - Edwardo Sanchez, the first person in his family to graduate from college; Bhutan and Maldives eradicating measles; World Food Prize-winner Akinwumi Adesina using his award money for grants to young Africans involved in agriculture; a New York Times report on how helping others is good for your health; and a 'new sport' - extreme reading (to which he contributed). "There's no denying 2017 was a really tough year... but it also delivered some amazing moments of hope and progress," Bill Gates prefaced his list. "These tweets made me feel better about 2017 and more optimistic about the new year." 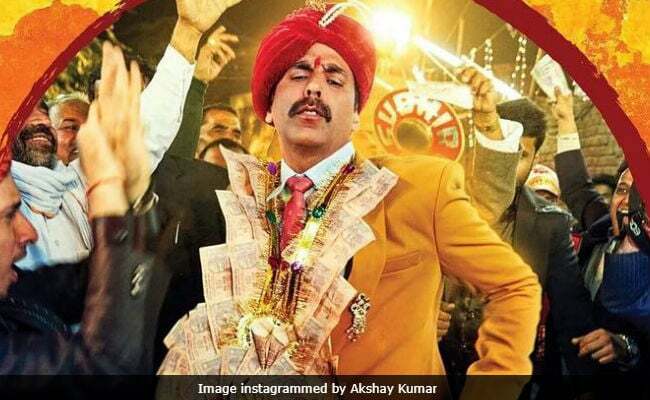 Toilet: Ek Prem Katha, starring Akshay Kumar and Bhumi Pednekar, received mixed reviews but was praised unanimously for its theme, which highlighted the need to build toilets in India, particularly rural India. The focus on sanitation meshed with the Swachh Bharat Abhiyaan spearheaded by Prime Minister Narendra Modi. We can give Bill Gates a heads up for 2018 - Akshay Kumar's new film PadMan shines a light on menstrual hygiene and spotlights A Murugunantham, the inventor of a low-cost sanitary napkin making machine. Put that on your list next year, Mr Gates.